Typically, when we hear the word sommelier, we think of someone who can tell you what kind of grapes a glass of wine contains just by smelling it. Nobody thinks of, say, milk. Until now. 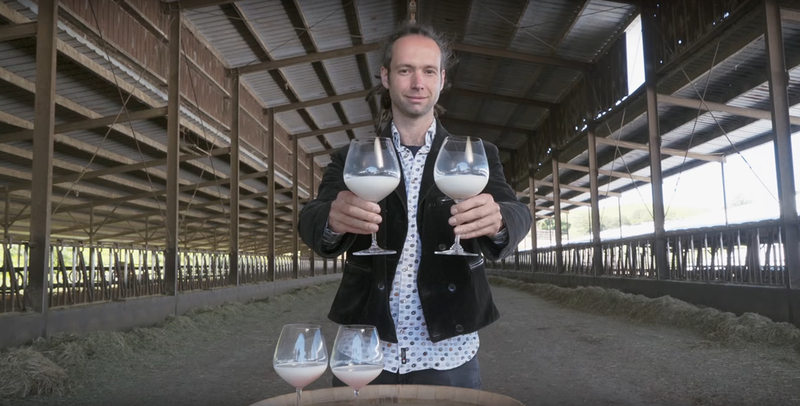 Bas de Groot is the world’s first (self-titled) Milk Sommelier, and his job, which grew out of his experience in organic farming, is to educate people that the scent, taste, and other qualities of milk are just as connected to the soil as are the same qualities of wine. Milk, according to de Groot, can be just as complex as wine, with subtle yet important elements detectable either by smelling or tasting. de Groot’s day to day work consists of traveling around and visiting farmers, educating them on the milk-soil connection and suggesting methods to improve their product. In a short video by CNN de Groot, while visiting a dairy farm in California, states that “”The main thing that I do is telling the story of the rich diversity of milk.” Who knew there was so much to learn!